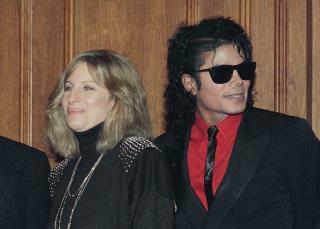 (Newser) – Barbra Streisand has backtracked quickly from her assertion that boys molested by Michael Jackson were "thrilled" to be there. "I am profoundly sorry for any pain or misunderstanding I caused by not choosing my words more carefully," she said in a Saturday statement, per TMZ. "I didn’t mean to dismiss the trauma these boys experienced in any way." Referring to the two Jackson accusers in a new documentary, she added, "I feel deep remorse and I hope that James and Wade know that I truly respect and admire them for speaking their truth." The apology follows an interview with the Times of London that drew widespread condemnation. In the interview, Streisand said she believed that the molestation happened, but then added some qualifiers. I don't know how any normal mined women,, would make that kind of comment when it comes to Health and Welfare our innocent children ! Obviously ,,,Babs herself was molested or a molester ,with her comments that shouldn't be hard to figure out! Whatever said and done - Michael was a great artist and pedophilia was his mistake should be forgiven. And, that was his birth weakness and not his fault, really. So, now Micheal being castigated so much for his weakness - same intensity with might and main - are we ready to close down all the Christian and Catholic churches including Vatican as banned institutions and sell all their assets to distribute among poor victims and downtrodden?